Les Thornton, who was one of the best junior heavyweight wrestlers of his era, passed away Friday at the age of 84. Thornton was born in England where he began wrestling in 1957 following a career in rugby. He trained at the Snake Pit in Wigan that produced Karl Gotch and Billy Robinson among the many that walked through the doors. Later, Thornton would bulk up, admitting to steroid use that assisted his powerlifting. Thornton came to the United States in 1970 working in Florida, Georgia, Mid-Atlantic, Texas, Los Angeles, the Pacific Northwest and in Calgary where he settled after retirement. 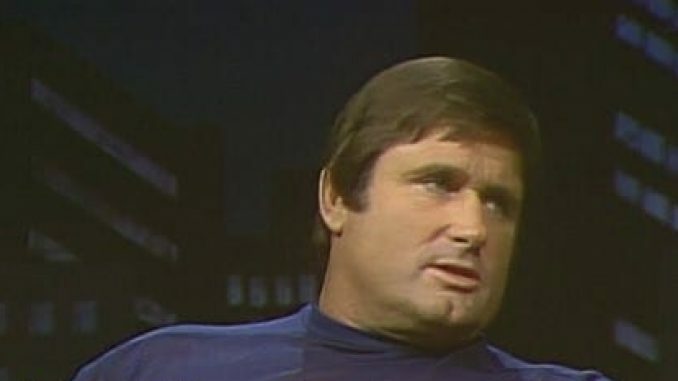 He came to Canada in the early 70s to wrestle for Stampede Wrestling, winning the North American heavyweight title in March 1971 and in December 1974. He returned in the mid-80s after the promotion re-launched. Alongside partner and rival Tony Charles, the duo became the Georgia tag champions in December 1975 defeating Bob Backlund and Jerry Brisco. The two would win the World Class version of the tag titles in 1977 in Texas from Jose Lothario and Rocky Johnson dropping them later that year. Thornton won numerous versions of the junior heavyweight title for the various promotions, including the NWA junior heavyweight six times. In February 1980, the NWA title was splintered after a match between Steve Keirn and Chavo Guerrero Sr. that led to the creation of the NWA International junior heavyweight title that Keirn held. The NWA’s junior heavyweight title was declared vacant and won by Ron Starr in a tournament, defeating Thornton in the final in Tulsa, Oklahoma in February 1980. Leroy McGuirk booked the junior heavyweight title during this period felt Thornton was the more skilled and reliable one with Starr described as a talented wrestler but came with an attitude. Thornton was declared champion the following month by forfeit, which Thornton described to SLAM Wrestling in 2005 as Starr not willing to drop the title to him and Starr ran off with the title. The title would bounce on and off Thornton for the next two years with Jerry Stubbs, Terry Taylor, Jerry Brisco, and Joe Lightfoot having quick runs before dropping it back to Thornton. He dropped the title to Tiger Mask (Satoru Sayama) in May 1982. Thornton had one more title reign in November 1983 when Thornton was just named the champion. He participated in All Japan’s Real World Tag League tournament in 1980, teaming with Billy Robinson. The tournament was won by Giant Baba and Jumbo Tsuruta with Thornton and Robinson finishing with three points. In 1984, when Vince McMahon took over the Saturday night timeslot on WTBS from Georgia Championship Wrestling, Thornton joined the World Wrestling Federation as a preliminary wrestler. During this period, Thornton teamed with Mick Foley, billed as “Jack Foley”, losing a squash match to the British Bulldogs in August 1986 in Foley’s first match in a WWF ring that he detailed in his first book. Thornton’s wife announced his passing online and stated he passed away peacefully at 11:15 am on Friday morning. Thornton had requested he not have a funeral service and they are encouraging donations to the Calgary Humane Society in his memory.